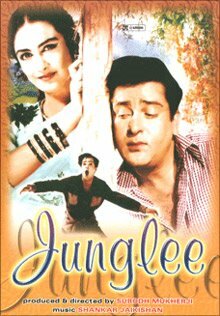 Junglee is quite simply my favourite Shammi Kapoor film. 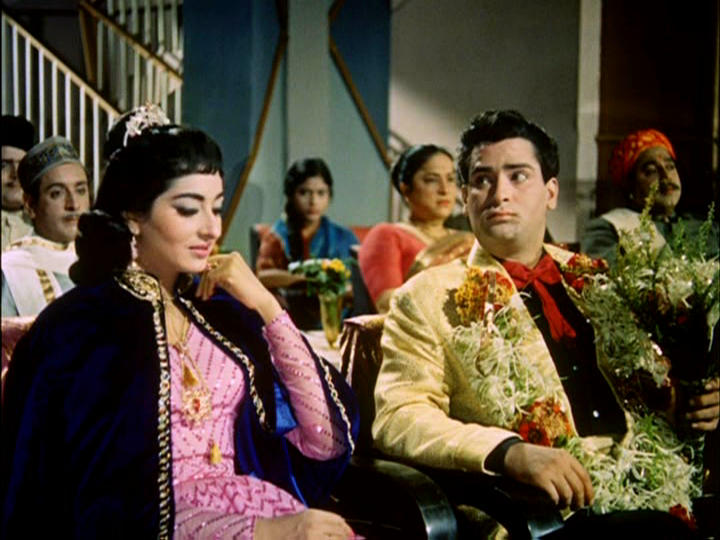 It was a big hit when first released in 1961, and featured not only Shammi but also Saira Banu in her debut performance. In fact she netted a Best Actress Filmfare award for her role in the film. Junglee features some great performances, an engaging story, beautiful scenery, fantastic songs and even a snippet of Helen – just perfect! 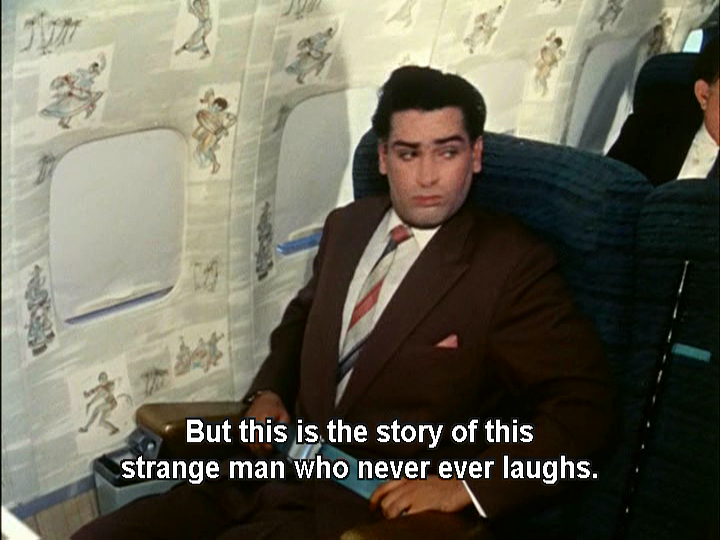 The film opens with Chandra Shekhar (Shammi) returning home after 3 years overseas in a wonderfully decorated plane. 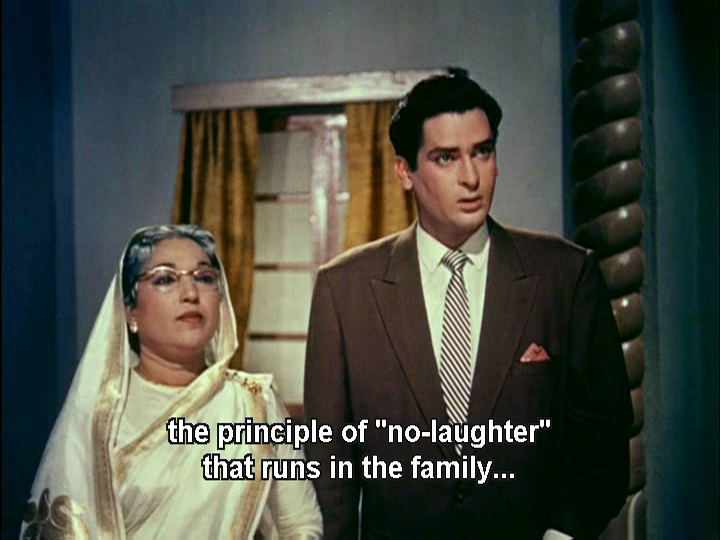 Via a voice over and a series of scowls and grimaces from Shekhar and his mother, we learn that the family disapproves of laughter and believes that it is something only indulged in by the lower classes. While Shekhar and his mother seem to firmly believe in these sober and unsmiling principles, Shekhar’s sister Mala (Shashikala) has somehow managed to escape the family affliction. She is in love with Jeevan, the son of the family’s business manager and is quite the rebel. She smuggles her lover into the house, successfully hiding him from both her mother and Shekhar, although she doesn’t seem quite as adept at smuggling herself out. In due course, Mala and Jeevan’s secret affair is discovered, quite appropriately in secret and confidential discussions. 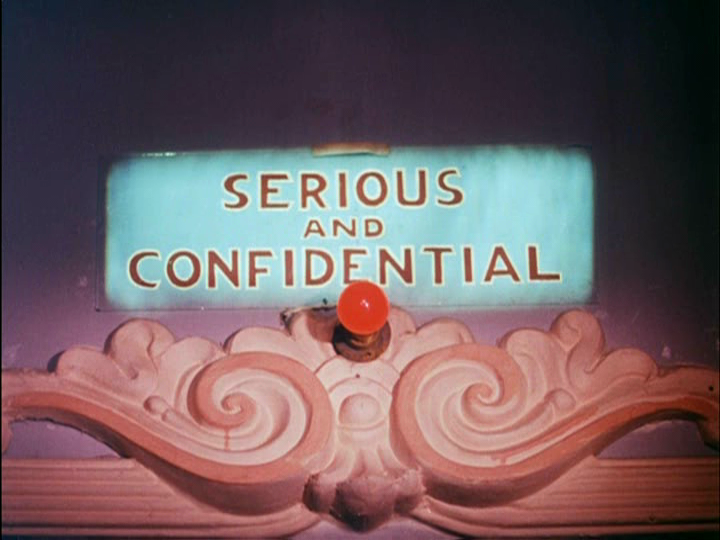 We can tell this as there is a helpful sign with accompanying illuminated red light to let us know that there is a top-secret meeting going on and for extra top-secret authenticity, the room is red-lit . Luckily for his father and Jeevan, his identity is not disclosed and to resolve the problem Shekhar is ordered by his mother to take Mala with him to Kashmir on his business trip. Shekhar has his own romantic issues to deal with as his mother has arranged his marriage to a Princess. However she is not aware that the royal family are impoverished and are banking on the marriage to ease their monetary woes, waiting only for Shekhar’s return to Bombayto go ahead and tie the knot. Needless to say Shekahr’s cantankerous disposition is not improved at all by his relocation and he just becomes grumpy in the snow instead of grumpy in the city. He meets the charming Rajkumari (Saira Banu) who delights in tormenting Shekhar just because she can. Rajkumari’s father is the local doctor who soon diagnoses Mala’s sudden ‘illness’ as pregnancy. Knowing what Shekhar’s likely reaction will be, Rajkumari hatches a plot to lure him away until after the baby is born. However Shekhar discovers the deception and the two end up marooned in a cottage as a violent snow storm isolates then for an undisclosed amount of time. Long enough however for Shekhar to fall in love with Rajkumari and inspired by the transformed snowy landscape and his own evolution he bursts out with an exuberant Yahoo! This is probably the most famous song from this film and deservedly so – Shammi’s high spirited cavorting around in the snow is brilliant and it’s a song always guaranteed to make me smile even after the worst day at work. There is so much energy and enthusiasm, and it’s a great contrast to the previous scenes where the two are stuck in close proximity in a small cabin. Now that Shekhar is in love he wants to marry his Rajkumari and heads back to Mumbai with his sister. But he still has to get rid of the other Rajkumari, the Princess he is betrothed to and there is also the dilemma of Mala’s baby to resolve. And Shekhar has to win his mother’s approval of his new happy personality which is probably the biggest challenge of all. 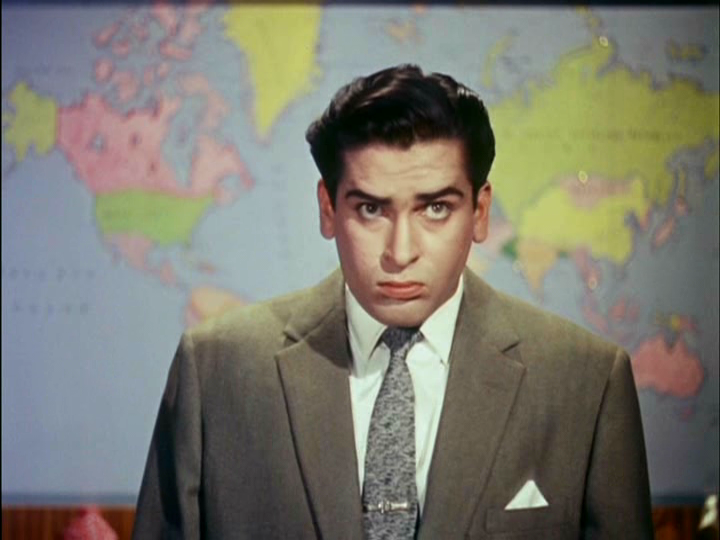 He falls back on the favourite Bollywood excuse of insanity, which gives Shammi the chance to ham it up and make full use of his range of facial expressions. A visit to the princess and her family gives us a wonderful dance with Helen complete with giant-sized artist palette backdrop. There is plenty more drama as Rajkumari and her father arrive with Mala’s baby and the brother of the ‘real’ princess gets more and more desperate before a suitably heroic ending. It’s not all about Shammi’s antics pretending to be crazy though as there are a number of beautifully romantic scenes as well. This is my favourite song from the film and I find Shammi totally adorable in this. I love the many faces of Shammi in this. His mad twitches and grimaces are limited to when he is pretending to be crazy and in the rest of the film he is much more restrained. The character of Rajkumari is also well developed and shows a gradual transition from her initial childish persona to a young women determined to do what is right. 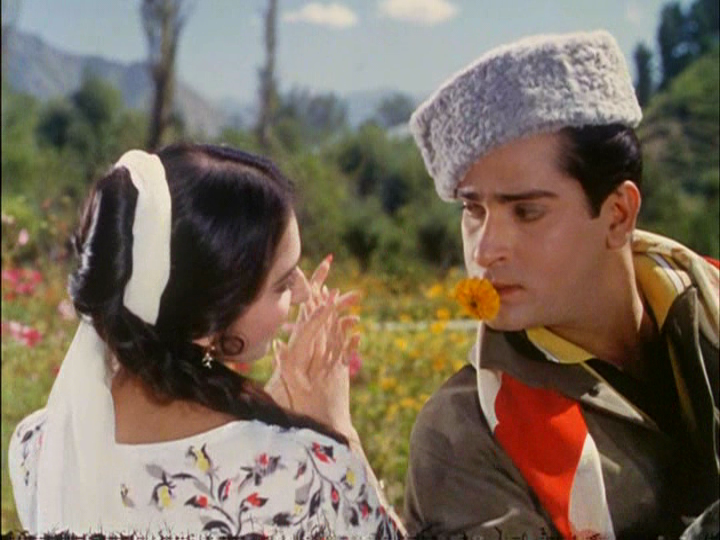 Saira Banu displays charming innocence and naivety and it’s clear to see that she was only 17 when she made this film. Junglee has some of the most romantic scenes I have seen with Shammi and he is at his absolute best in these. He can be guilty of some scenery chewing at times, but here he is restrained and convincing as a man in his first throes of love. 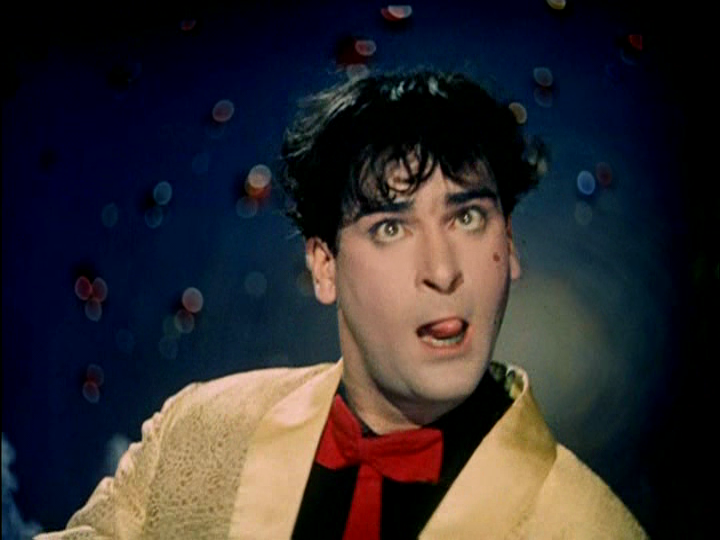 His eyes are very expressive and he does have some excellent chemistry with Saira Banu. The song Din Sara Guzara is another gem which is beautifully pictured. In fact, all of the songs are excellent and both Lata Mangeshkar and Mohammad Rafi do excellent justice to the music by Jaikishan and Shankar. The beautiful Ja Ja Ja Mere Bachpan is wonderful as well, and it really is worth checking both of these songs out. Although the story starts with a rather ridiculous premise, Lalita Pawar makes the character of the inflexible family matriarch strong enough to keep the idea of a woman bound by her duty to her late husband credible. While the ‘no laughter’ idea may not be very realistic, it is easy to believe in Shekhar as a man bound to rigid work principles who is uncompromising and ill-tempered. The mood lightens considerably when we get to Kashmir – not the least because of N. V. Srinivas excellent cinematography. The hills and flowers are beautifully shot and the songs make the most of the scenery. There are also some wonderful sixties décor on the sets. 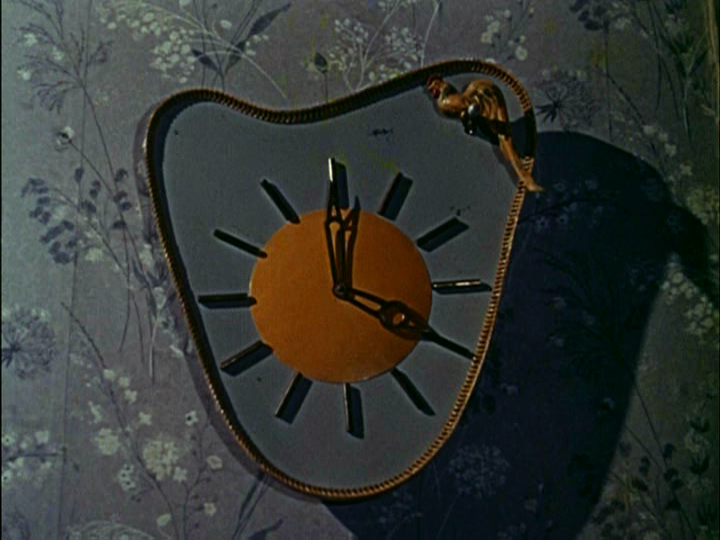 I particularly like the clocks and it’s a shame that my copy of this film has suffered from colour degradation with aging. The support actors are all good in their roles too. Anoop Kumar provides some light relief as Jeevan and although Mala and her lover are only a peripheral part of the story, they both make an impact when they need to. While I do end up feeling a little sorry for the rejected princess, her brother and father aren’t quite evil enough to be convincing villains and I think they appear more pitiful and desperate. Junglee is at heart a love story and as such it works really well. Excellent performances and fabulous songs plus Shammi at his best make this a 5 star film for me. 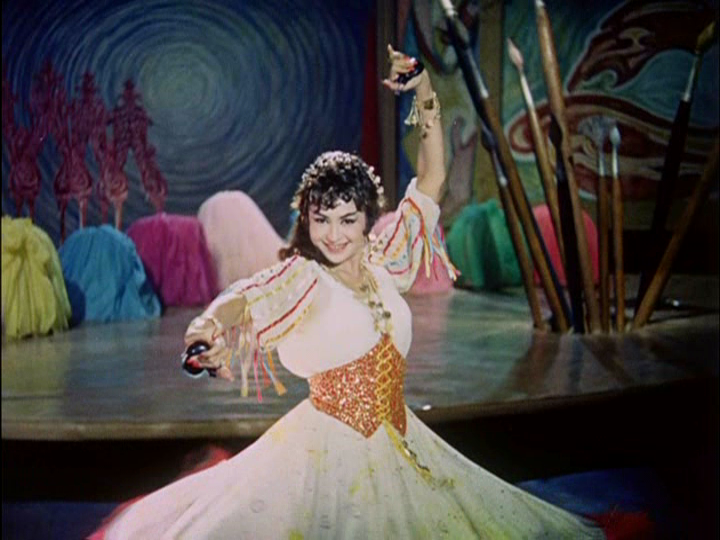 This entry was posted in Bollywood and tagged Anoop Kumar, Junglee, Kapoor Khazana, Lalita Pawar, Lata Mangeshkar, Mohammed Rafi, N. V. Srinivas, Saira Banu, Shammi Kapoor, Shankar-Jaikishan, Shashikala, Shivraj, Subodh Mukherji. Bookmark the permalink. Quite simply, I adore this film. 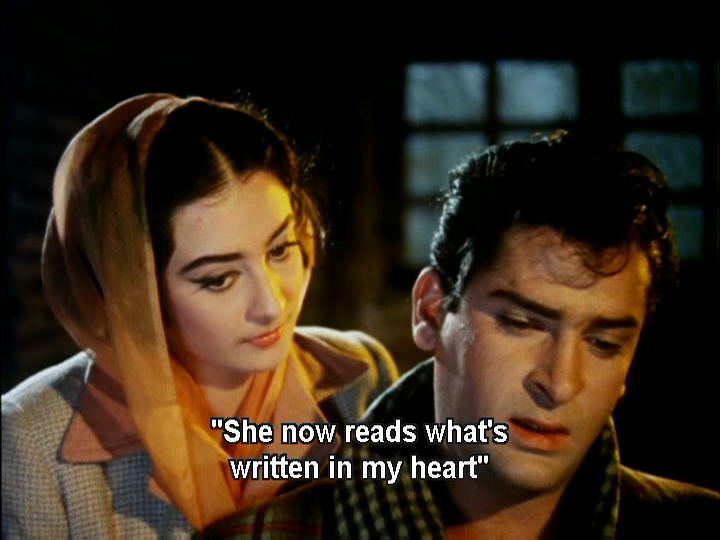 Also — I’ve discovered through Kapoor Khazana that if I ever need a pick-up, Shammi is the one to do it for me, I pop one of his films in the player and my mood is*immediately* lifted. 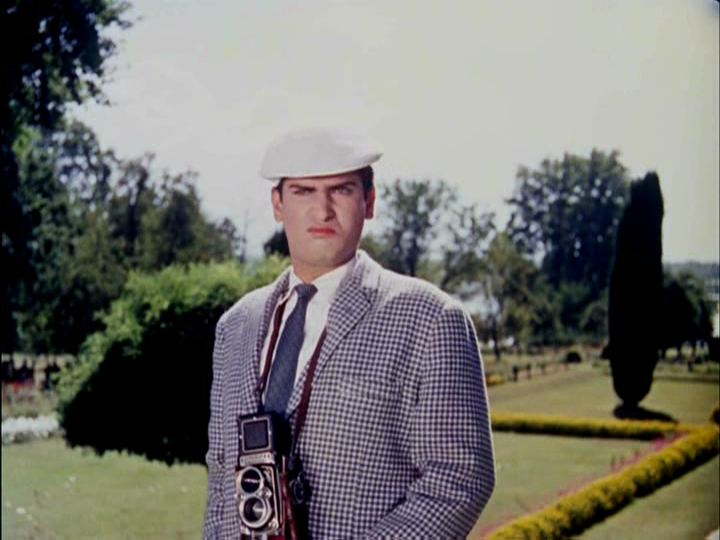 Much as I love Shashi, and I really do, Shammi will always be my first love and therefore very special! And this is in my opinion his best film – so glad we agree! 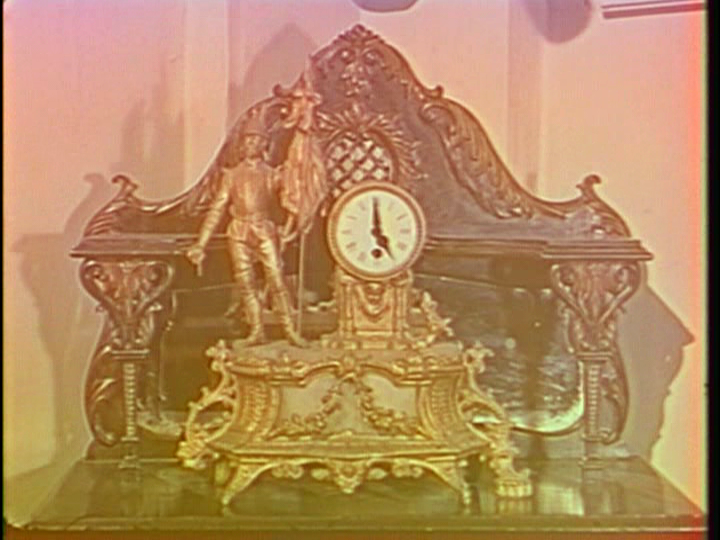 And I think I may have caught the clock bug from you – clocks and pictures are things I notice – especially in these older films where I see so much I recognise from my parents and grandparents houses 🙂 There are some gems in Junglee. The picture of the father is rather fab too! I really love Junglee – your fave song is my fave song too, I thought it was almost unbearably romantic. It took me ages to get around to watching my copy on DVD because I didnt think it would live up to the hype (the “yahoo” thing is kinda iconic) but it so does, and is so much more than that. love love love. It’s just a great film 🙂 and I’m so happy to know that so many other people love it (and Shammi) too! I’d seen only a few other Shammi films before I watched Junglee, but never one where I really ‘got’ him as the romantic hero. But this certainly changed my mind! This is the movie I discovered Saira Banu was beautiful at one time ;). Kidding aside, I thought Shammi’s performance when he discovers his love, is excellent. I would never be bored watching it again and again. 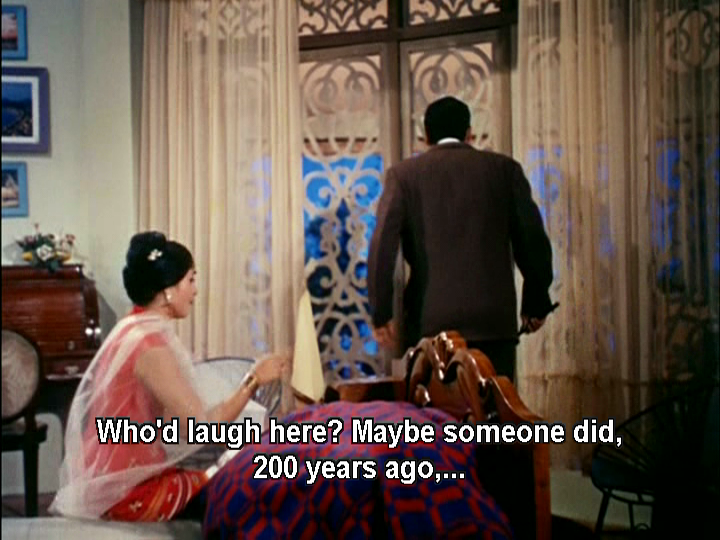 And every time I watch it I fall in love with Shammi all over again – I love it!